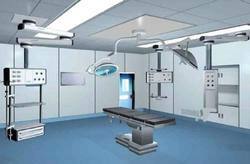 Manufacturer & Exporter of Operation Theatre & Modular Operation Theater. Our product range also comprises of Cleanroom Validation Equipment, Measuring Equipment and Particle Counters. 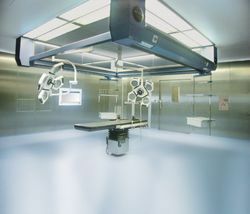 Backed by detailed industry acquaintance, we are betrothed in providing an extensive range of Modular Operation Theater. These operation theaters are employed for various purposes. Our operation theaters are appreciated for exquisite designs. Further, these are also assisted with other specifications such as modular ceilings, material transfer pass box, concealed light fixtures and sterile garment lockers.